As you can tell from all of the negative health effects from chronic sleep apnea, it is very important to treat. The most common cause of sleep apnea is due to upper airway obstruction. This condition of Obstructive Sleep Apnea does not have a cure and can get progressively worse over time. Even though there is no cure, it can be effectively treated to manage your symptoms and decrease the possibility of any long-term health effects. Sleep treatment varies depending on the individual cause and severity of sleep apnea symptoms. 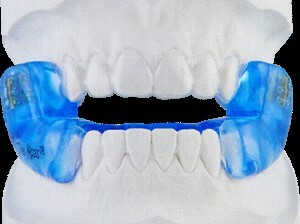 The most common treatment or “Gold Standard” for sleep apnea is CPAP, or continuous positive airway pressure. Other options may include Dental Appliances, lifestyle changes or surgery. CPAP (Continuous Positive Air Pressure) is the gold standard for the treatment of obstructive sleep apnea. CPAP consists of using a mask to direct a gentle, controlled flow of air to keep your airway open while sleeping. 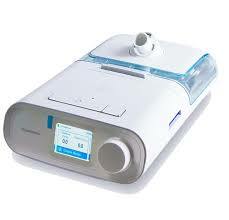 There have been many advances in the use of CPAP from quieter CPAP machines, to more comfortable masks. Of all the treatment options, this is the most popular and effective method. Our office encourages everyone to try CPAP before considering use of an oral appliance. Vancouver Sleep Solutions will work with you to create a treatment plan and optimize your CPAP treatment. Many patients who initially try CPAP realize that they are not compatible with it or wind up taking it off during sleep. For those who cannot tolerate CPAP therapy, Vancouver Sleep Solutions offers an alternative treatment to CPAP: oral appliance therapy. The custom-made appliances are often more comfortable and convenient for patients, and treat mild to moderate sleep apnea or as a treatment for snoring. However, if you are not significantly overweight, don’t use alcohol/sedatives, or don’t sleep on your back, then these changes will have little effect. In cases such as these, you should seek the advice of your family doctor to evaluate for a possible sleep disorder. While sleep apnea just a few years ago was considered to be a disease of “fat, older men,” doctors are now finding significant sleep apnea in thin women and even children. Certain sleep positions are worse than others for causing loud snoring or upper airway obstruction. Vancouver Sleep Solutions can assist in providing you with sleep aids that will assist in modifying your sleep position. Surgery is rarely used for the treatment of obstructive sleep apnea. When there is a problem with the nasal airway, such as deviated septum or nasal polyps, nasal surgery may be used to help the patient use CPAP better. Surgery to the palate has been used with some success in the treatment of snoring, but has had less success in the treatment of sleep apnea. For more information on sleep apnea treatments at Vancouver Sleep Solutions, please call us at 604-558-0055.